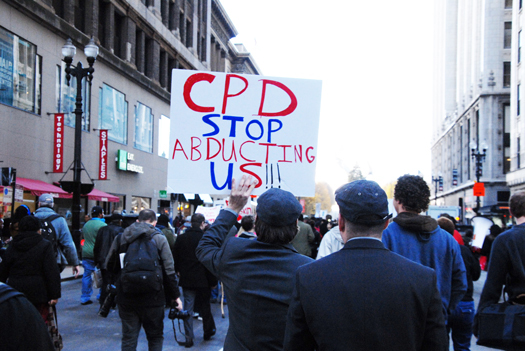 Anti-police abuse protest in downtown Chicago on December 9, 2015. CHICAGO—It seems the dark cloud hovering over the Chicago Police Department in the midst of the murder trial of Officer Jason Van Dyke just keeps getting darker. On September 19—the third day of the Van Dyke trial— the police union announced that 70-year-old Jon Burge, a former commander with the CPD who was tried, convicted and served more than four years in prison for torturing approximately 120 people—the majority of whom were Black—and coercing them into admitting guilt for crimes, died in Apollo Beach, Florida. While Mr. Burge was never officially charged with torturing anyone—he was only prosecuted for lying about what he and his men did, not for the actions themselves. He repeatedly denied the allegations. The tactics he introduced to the department and oversaw being carried out on victims during a reign of terror included: suffocation, electric shock, Russian roulette and brutal beatings, occurred for the better part of two decades and were a thing of legend on Chicago’s South and West sides. All told, the city paid out more than $120 million to settle lawsuits filed against the Chicago Police Department due to Burge’s actions. Mr. Burge himself served less than his sentence at a federal prison in North Carolina before being transferred to a halfway house in Florida, the state where he spent the remainder of his life while still collecting a police pension. In 2003, then Governor George Ryan, pardoned four death row inmates whose sentences were handed down due to them being forced to admit guilt as a result of Burge’s torture tactics and issued a moratorium on all executions in Illinois. Gov. Ryan, a Republican, commuted the sentences for all of the state’s prisoners sentenced to death. In 2015, a reparations fund was established in the amount of $5.5 million for other victims who had not received any money as a result of those settlements. Mr. Burge’s death was bittersweet for both the families of his victims, and community activists who have been loudly outspoken against the Chicago Police Department due to their track record of violence against the city’s Black residents. 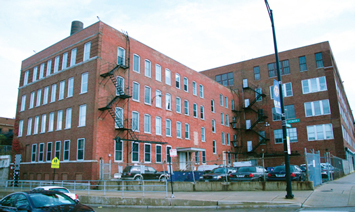 Outside view of Homan Square, which activists have called a secret detention center inside of America run by the Chicago Police Dept. The Chicago Torture Justice Center, an organization that offers access to healing and wellness services to men and women who have suffered from police violence, while also working to end the practice of police violence, weighed in on Mr. Burge’s death. At present, there are between 10-12 people who were victimized by Burge and his “Midnight Crew,” still in prison. Mr. Ademola gave a historical context of Burge’s methods, which he says were rooted in American imperialism that he learned stemming from the time Burge served in the U.S. Army during his tours in South Korea and Vietnam. 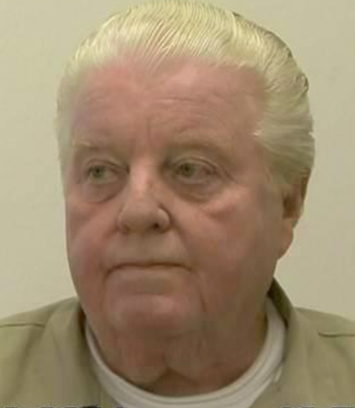 “Jon Burge learned his techniques torturing freedom fighters in Vietnam. We also have to remember he joined the Chicago Police Department in the 70’s after he left the military. A few years before he did, we know that COINTELPRO and the CPD collaborated to kill Fred Hampton and Mark Clark,” Mr. Ademola explained, referring to two members of the Black Panther Party who were shot and killed during a 1969 raid conducted by the CPD and FBI. “Fast forward, now we can look at Homan Square [Black Site] in North Lawndale where police used Jon Burge-like techniques where they would hold brothers and sisters hostage without due process, and many times, without even arresting them,” said Mr. Amendola.